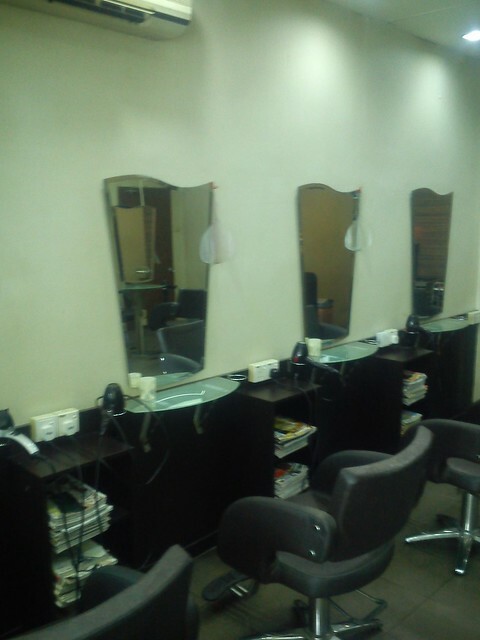 The founder has more than 10 years of experience working in multinational companies. Currently, she also manages another preschool and after-school care centre. She had done extensive research on education for young children over the years. Her vast experience helped her develop a set of special programmes for preschoolers, nurturing and getting them ready for formal education. Jenny Lau University of Malaya, BA in Science Education. Jenny obtained her Bachelor of Arts in Science Education 2005. She has more than 3 years of teaching experience involving children from preschoolers to teenagers. 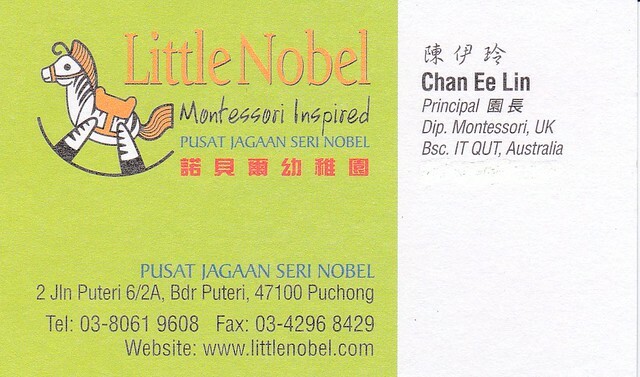 Jenny is our lead teacher for Moral, Chinese and Malay languages programmes. She is also talented in children arts and crafts. Poh Fong obtained her BA in Education in 2000. 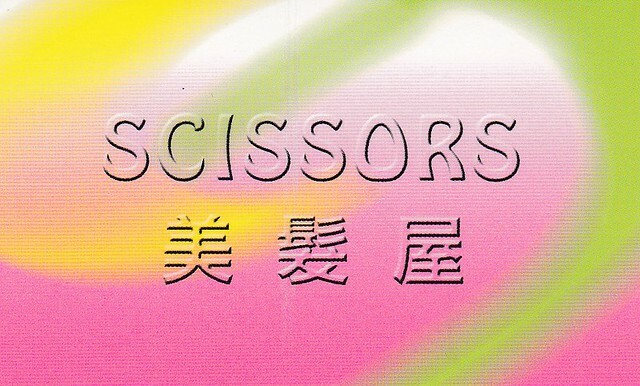 After completed her practical training in Taiwan, she was attached to a local school before coming back to Malaysia. 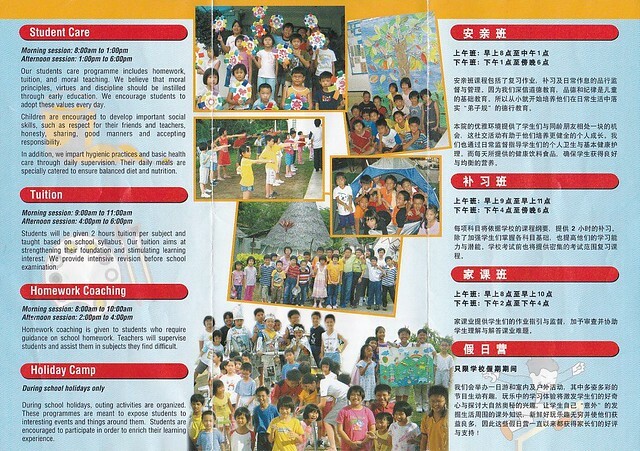 Poh Fong is also involved in voluntary work for children with special needs. She is our lead teacher for Chinese programmes. 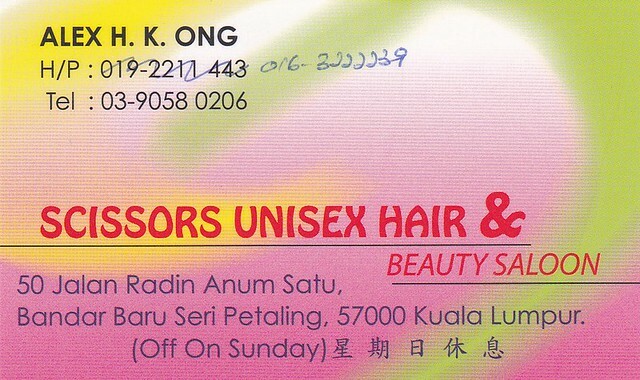 Sharon was professionally trained by the Persatuan Tadika Malaysia. She has been teaching for 15 years, working with children from all age groups. 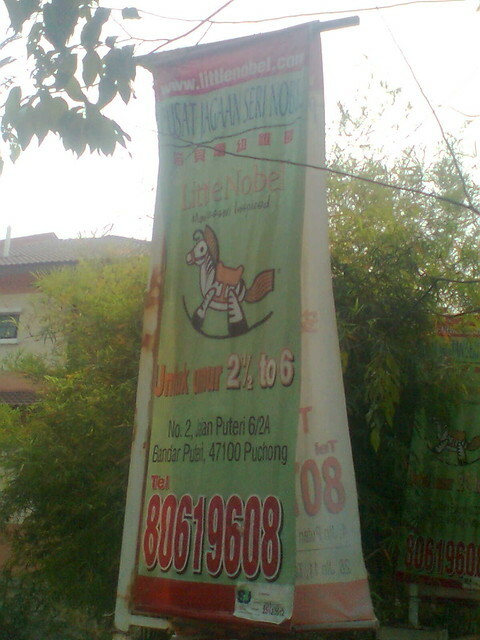 She specializes in teaching English, tutoring preschoolers and primary school children. 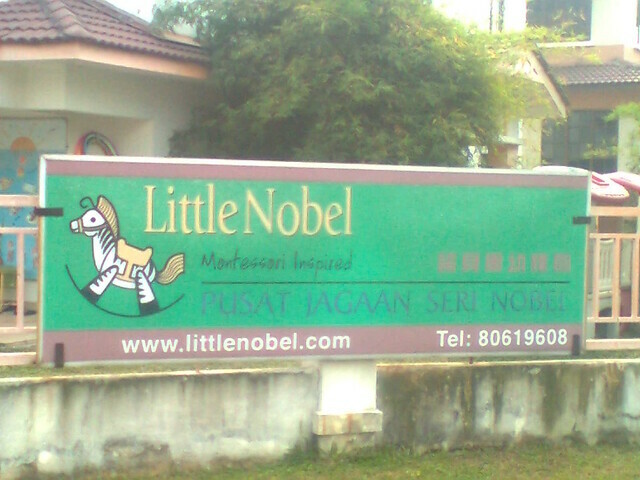 Commencement of Junior Nobel™ in a rented single storey corner house at Taman Bukit Kuchai Puchong. A humble beginning with only 6 students. 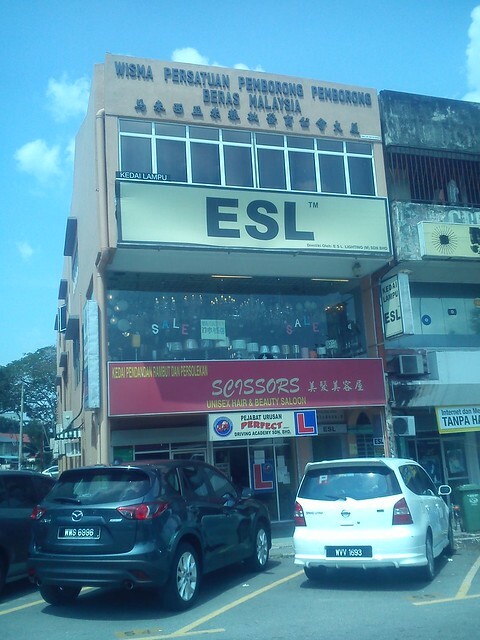 Finalization of the plan to set up preschool in Puchong. 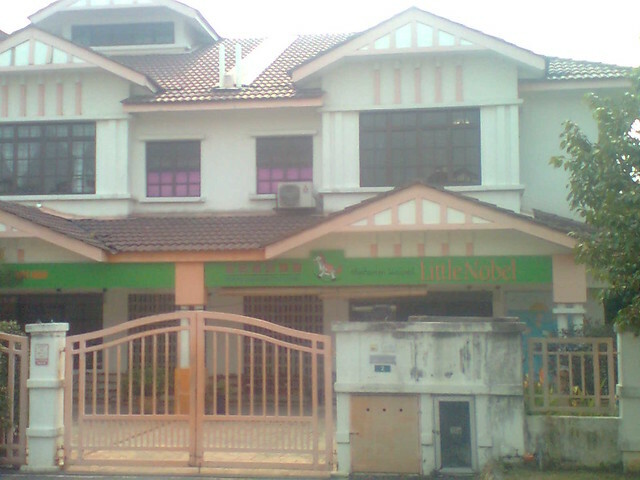 Commencement of Little Nobel® at Bandar Puteri 10, Puchong in a rented double storey corner house. A humble beginning with 14 students. 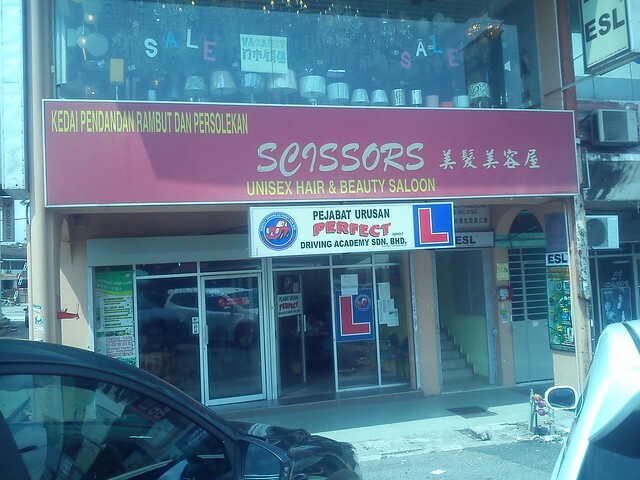 Acquisition of Little Nobel® business premises for future growth in Bandar Puteri 6, Puchong. 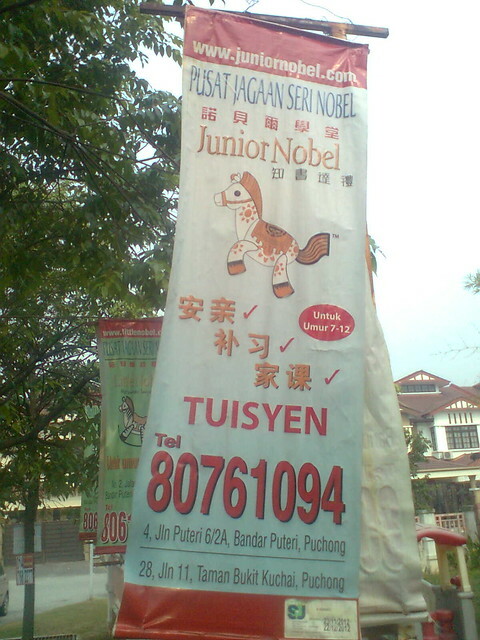 Commencement of Junior Nobel™ new branch in Bandar Puteri 6, Puchong in a double storey house. 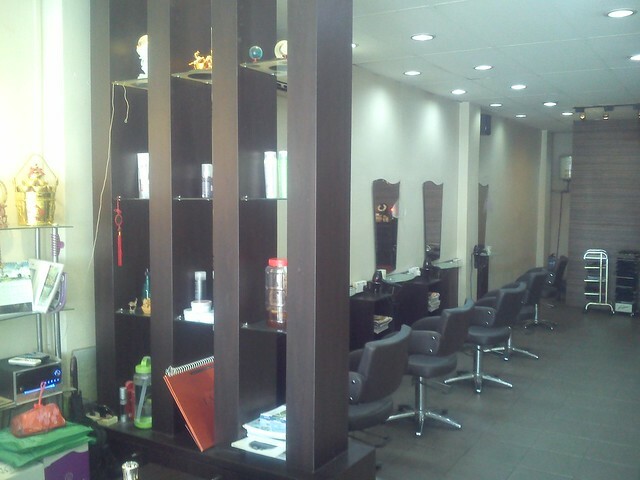 Acquisition of Junior Nobel™ business premises for future growth in Taman Bukit Kuchai, Puchong. 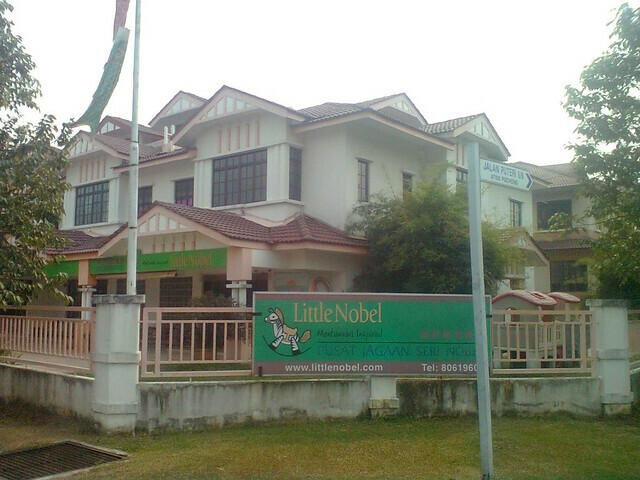 Relocation of Little Nobel® to our own double storey premises in Bandar Puteri 6, Puchong. 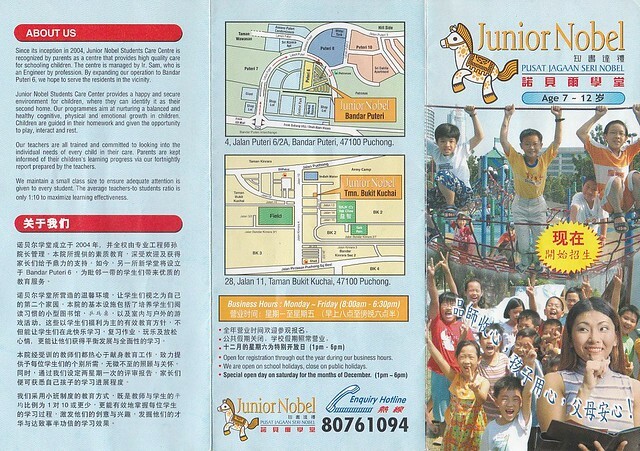 There were 38 students in the preschool and 6 students in the newly set up Junior Nobel™ branch located next door. 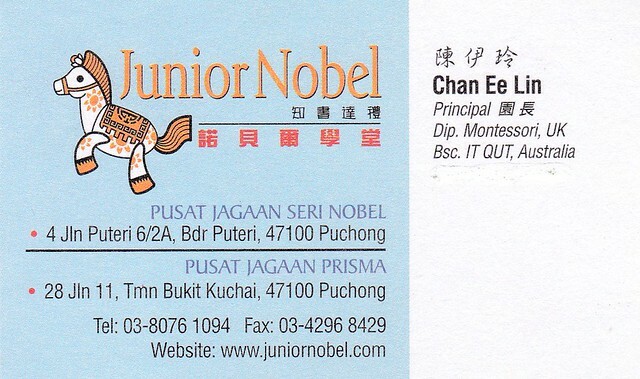 Relocation of Junior Nobel™ to own single storey corner house at Taman Bukit Kuchai, Puchong, involving 43 students. 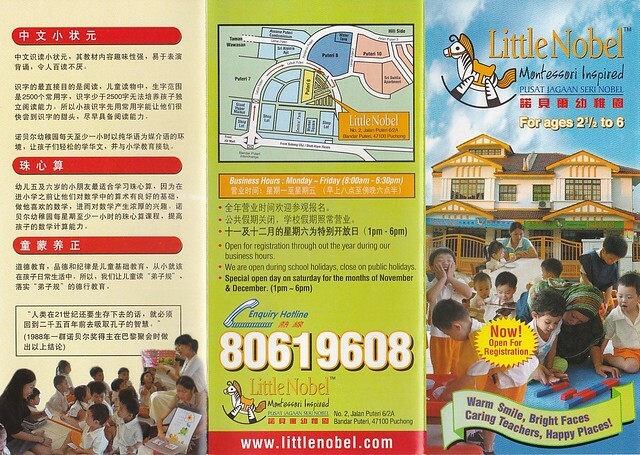 Little Nobel® and Junior Nobel™ grew significantly with students totaling 137, driven by sound management and the acceptance of our education programmes by parents. Montessori believes in a holistic approach to your child’s education. Preschooling is a time when your child is encouraged to develop his personality, adapt to his own culture and become an independent, useful member of the society. Here’s how Montessori methods work. Young children are always eager to imitate adults. Montessori’s Practical Life programme links learning to aspects of daily life when a child first enters preschool. The world is full of colours, sizes, shapes, forms, sounds, tastes and smells. A child’s world is a world of the senses. Montessori sensorial materials help children continue their creative development, enabling them to clarify, classify, and comprehend their world. Preschoolers have natural mathematical minds. They have the capacity to reason, calculate, and estimate. Montessori mathematical materials allow these sensorial explorers to begin their mathematical journey from the concrete to the abstract through manipulation, experimentation, and invention. Abacus and Mental Arithmetic, although not part of Montessori, will be introduced to children aged 5 and above. 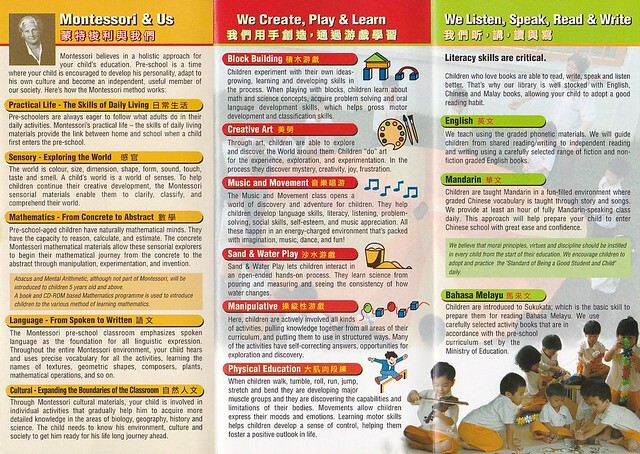 A textbook- and CD-ROM-based Mathematics programme introduces children to the various methods of learning mathematics. The Montessori preschool classroom emphasizes spoken language as the function for all linguistic development. Throughout the entire Montessori environment, your child hears and uses precise vocabulary for all the activities, learning the names of textures, geometric shapes, composers, plants, mathematical operations, etc. Through Montessori cultural materials, your child is involved in individual activities that gradually help him to acquire more detailed knowledge in biology, geography, history and science. The child needs to know his environment, culture and society to get him ready for his lifelong journey ahead. Children experiment with their own ideas – growing, learning and developing skills in the process. When playing with blocks, children learn about math and science concepts; acquire problem solving and oral language development skills, which help gross motor development and classification skills. Through art, children are able to explore and discover the world around them. Children use art to experience, explore, and experiment. In the process, they discover ideas, creativity and the joy of overcoming obstacles. The Music and Movement class opens a world of discovery and adventure for children. They help children develop literacy, listening, problem-solving, social skills, self-esteem, and music appreciation. All these happen in an energy-charged environment that’s packed with imagination, music, dance, and fun! Sand & Water Play lets children interact in an open-ended manner. They learn about science and mathematics from pouring water into and measuring it in containers. Here, children are actively involved in all kinds of activities, drawing knowledge from all areas of the curriculum and putting them together for use in structured ways. Many of the activities have self-correcting answers with opportunities for exploration and discovery. When children walk, tumble, roll, run, jump, stretch and bend, they are actually developing major muscle groups and discovering the capabilities and limitations of their bodies. Movements allow children to express their moods and emotions. Learning motor skills helps children develop a sense of control, helping them to foster a positive outlook in life. We are open on school holidays; close on public holidays. 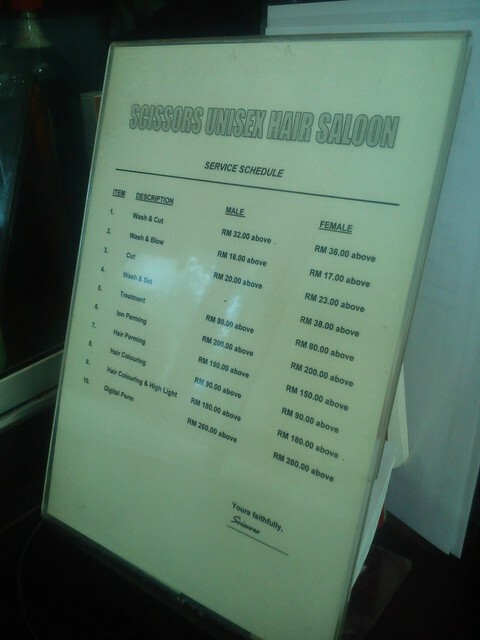 Special Open Day on every Saturday in December (1pm ~ 6pm).